One of my favorite bloggers and quilt artists, Lynn Krawczyk, likes to post artsy photos of her feet in a regularly occurring feature she calls “Where I Stand Sunday”. 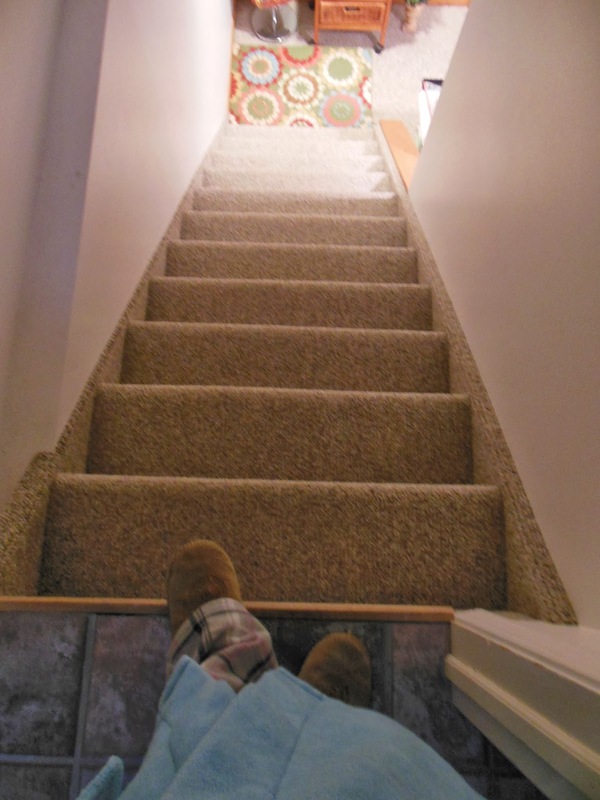 I was reminded of that as I stood at the top of the basement stairs this morning – just as I did yesterday morning and will do again tomorrow – ready to descend into my sewing room, a.k.a. the napkin factory. It’s not pretty down there. LOTS of piles and heaps of assorted variety. 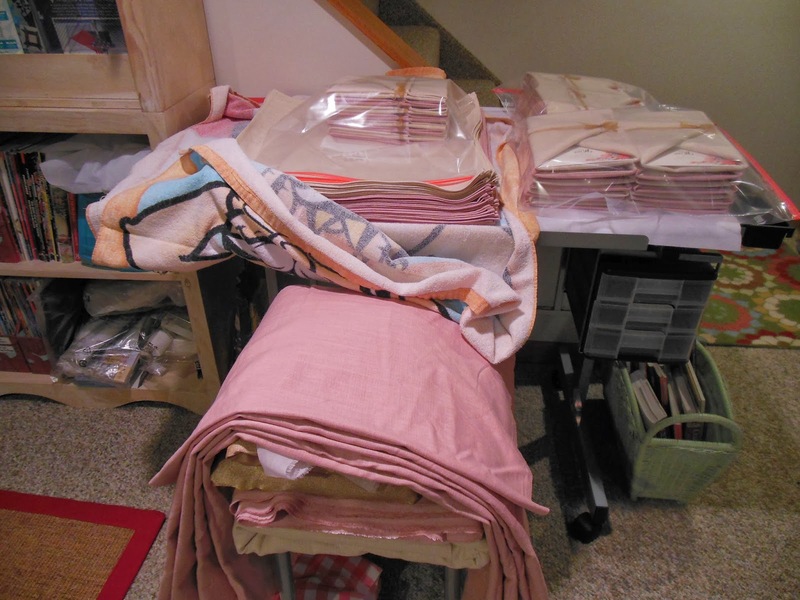 But the Christmas music is playing, the iron is steaming, and the sewing machine is humming.